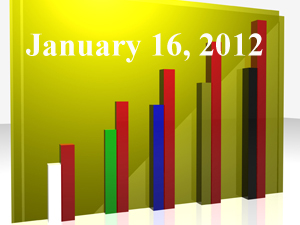 “401k Plan Sponsor Concern: Target Date Funds Still Broke,” (Fiduciary News, January 10, 2012). What the stress test of Q3 2011 tells us about what the Target Date Fund industry learned from 2008 – and what it didn’t. “SIFMA’s Ryan, Bentsen: Fiduciary, SRO Action on Horizon in 2012, but not 12b-1,” (Investment Advisor, January 13, 2012) Interesting. The industry appears to be conceding the fiduciary issue, but they’ve held their ground on the 12b-1 issue. So far. While the DOL stands firm on the implementation of the new Fee Disclosure Rule, it defers on the Fiduciary Rule. Not to be outdone, the SEC follows suit on the Fiduciary Standard. “One case shouldn’t stand in the way of an ERISA fiduciary standard,” (InvestmentNews, January 8, 2012) This article reviews the case of Matthew D. Hutcheson, a prominent fiduciary advocate now under investigation by the Department of Labor. The report highlights how Hutcheson’s situation is unique and shouldn’t be generalized. “Labor Department’s Borzi defends data request,” (Reuters, January 9, 2012) The Department of Labor asked the industry on December 15th to provide important data by January 15th so the DOL could conduct its cost-benefit analysis on the impact a new fiduciary rule would have on IRAs. Needless to say, the industry has complained. “DOL Still Tinkering With Fiduciary Standard on IRAs,” (BenefitsPro, January 9, 2012) The big news here: what was supposed to be released in the “first quarter” of the year is now being promised to be released in the “first half” of the year. “INsider: Timeline for fiduciary rule slip-sliding away,” (InvestmentNews, January 9, 2012) Unlike the Fee Disclosure implementation, the DOL does look like it’s caving on the Fiduciary Rule. “Broker Fiduciary Rule Delayed by Cost-Benefit Analysis, SEC Says,” (Bloomberg, January 12, 2012) Not to be outdone by the DOL, the SEC decides to defer its ruling, too. “Fiduciary groups offer Labor Department help with fiduciary rule, definition for advisors,” (Financial Planning, January 13, 2012) And the inmates want to establish the rules in the prison, too. “SEC to Seek Public Input on Fiduciary Cost-Benefit Analysis,” (AdvisorOne, January 13, 2012) Oh, so that’s why they’re delaying things. “Broker fiduciary rule officially in limbo,” (InvestmentNews, January 13, 2012) This is the most in-depth article on the subject. As the DOL comes out strong against delaying implementation of the new Fee Disclosure Rule, the industry pushes back even harder. “Retirement Fund Fees Squeezed By Disclosure Rules,” (Bloomberg, January 5, 2012) This is a fairly comprehensive article that reveals how even some big names (like Fidelity) may find themselves exposed once fee disclosure rules kick in. According to the article, the impact will be greatest among smaller plans. “DOL says no extension on fee disclosure deadline,” (BenefitsPro, January 9, 2012) The DOL hears the industry biggies complaining, the DOL is sympathetic to the industry biggies, but the DOL is not yet ready to cave to the industry biggies. “Broker-dealers up in arms 401k fee disclosure,” (Reuters, January 10, 2012) It turns out the DOL even wants brokers to admit their pay-to-play schemes for self-directed portions of 401k plans. Not surprisingly, the industry is complaining, saying there’s too many different payback arrangements to keep track of them all. So, according to this logic, if you rob enough banks, you can go free because it’s too hard to figure out which specific bank you stole which specific dollar from. “Plan Sponsors Need to Be More Aware of Administrative Fees,” (PLANSPONSOR.com, January 10, 2012) Most important than the headline, a new survey identifies the top two concerns regarding the new fee disclosure rule. #1: Plan Sponsors don’t know how to implement it. #2: Plan Sponsors don’t care about it because they feel they’re already in compliance. Investments – Strike Two! :Target Date Funds take it on the chin again as their performance doesn’t live up to expectations. “Target-Date Funds End Another Year Far Away From Bull’s-Eye,” (Wall Street Journal, January 10, 2012) More bad news for the TDF industry. This time it’s being reported that 2015 TDFs actually lost money in 2011, even though the S&P was up 2% and bonds were up 8%. How much longer until 401k investors revolt? “As Target Funds Falter, Pros Mull Options,” (SmartMoney, January 10, 2012) Is this piling on or what? “Time to send target date funds to the showers?” (BenefitsPro, January 12, 2012) OK, this is piling on. “For Some Target Funds, History Repeats,” (SmartMoney, January 11, 2012) Well it’s official, this is “Let’s Kick TDFs When They’re Down” Week. “Investors Express Optimism for Retirement Plan Investing,” (PLANSPONSOR.com, January 12, 2012) Of course, this is compared to the all-time low as measured in the previous quarter, but, still, the news is positive. Orrick, Herrington & Sutcliffe LLP: Does Your Fiduciary Liability Insurance Need a Check-Up? SunGard Relius: Fee Disclosure Regulations: When Do We Begin? Pension Dialog: Will Public Pensions Run Out of Money?